So… my good friends at BFree (here is their website), sent me a voucher to try out their new buns at Gourmet Burger Kitchen! Me and my Boyfriend, hopped on the train from Leicester to Birmingham to do some christmas shopping and grab ourselves a burger! GBK is getting one up on Handmade Burger Co., who have ‘NGCI’ but don’t offer GF buns. So I was very excited to taste the competition, and as you have probably read…I love BFree’s bread and bun selection! I liked GBK, I liked the free lemony tap water, I liked the free nuts, I liked the free weird salt. I liked how the waitresses knew what was going on and its reasonably cheap (however, still on the every now and then price bracket)…ooooohhh and the refillable ‘Fresh and Fizzy’ was delcious…. I had the elderflower one! I had a little trouble when they waiter came out with the food, the chips aren’t gluten free (I know! why do they do this too us) …So they had the chips on the same tray as my coleslaw and it was all touching and what not…. The burger itself was very good, the bun delicious (a bit dry but that’s probably because it might have been sat out) but altogether great, and that jalapeño coleslaw was incredible….I don’t understand how it was so nice. Not as nice as chips- granted- but a pretty good alternative. I’d certainly come again! 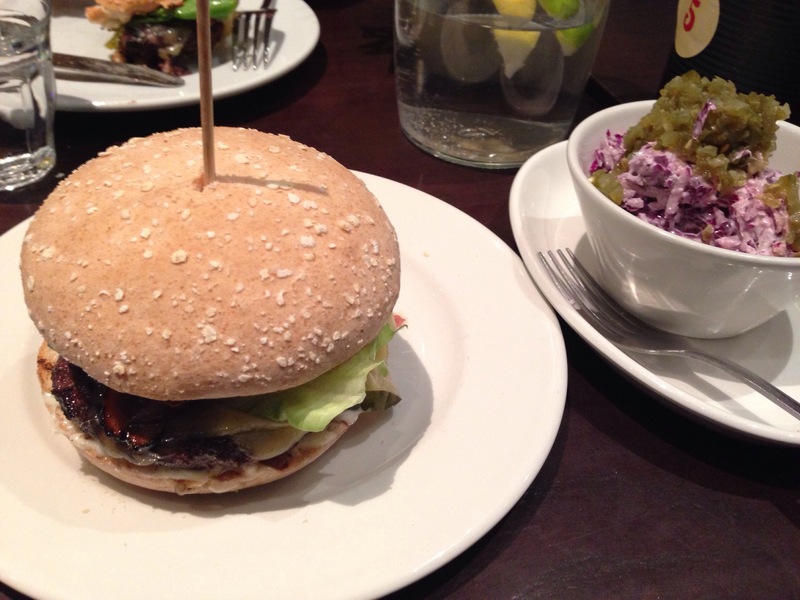 Well done BFree and well done GBK… just get those chips GF and get an online menu!! My views are my own and 100% honest, I don’t let the fact that I receive freebies get in the way of my reviews! 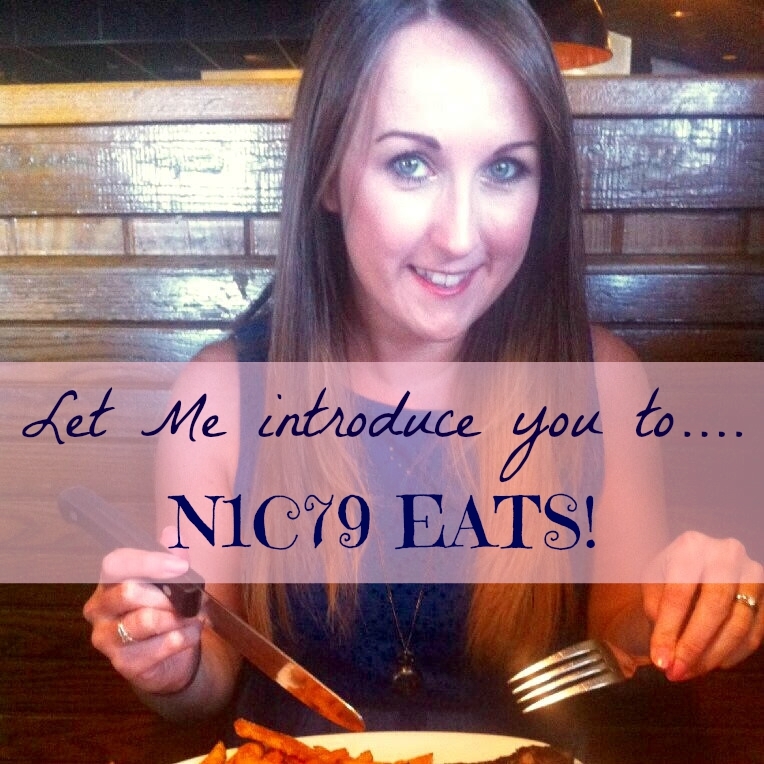 Today I went for the £5.95 lunch deal at the Chiswick branch. I’ve been a few times since this first post and it’s always been great. However, today the bun was the worst I’ve tasted in a long time. It was dry and really crumbly and nothing like the bread I had in this post! Lets hope it was a one off. I made these delicious burgers for my housemate last night and I want to share it all with you all because it was delcious!. Chop the onions and garlic, pop in a bowl. Mix in the mince, breadcrumbs, herbs, salt and pepper to taste with your hands until it’s evenly spread through. Add the egg, mix again and shape into burgers. Pop these in the fridge for about 20 minutes then fry or grill later. Pop the whole clove of garlic in the hole along with the oregano. Drizzle with oil and bake for about 30 minutes. Allow to cool until they are okay to hold and scoop out the flesh and place into a bowl. Mix the philli, some lemon juice and salt and pepper with a fork, it should be soft and easy to do. 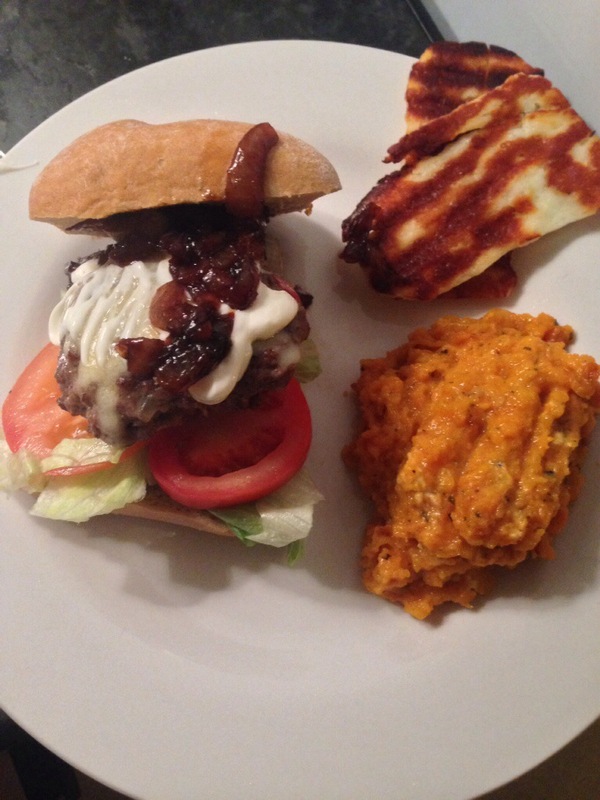 I served the burgers on a BFree bun, with some lettuce, tomato and mayo, topped with cheese and caramelised onions. On the side, the mash and some grilled halloumi. My housemate Priya said they were the best burgers she has ever had! I’m inclined to agree.